Description: As I grew up in Japan, I couldn’t see solid possibility in my future for love. LGBT (at that time: now LGBTQIA) community was so underground and very prohibited. Now our rights and recognition are much progressed and better, and I start seeing possibilities for my love life, social status, and as a person. It was more self realization of where to seek the possibility. It’s actually within myself. 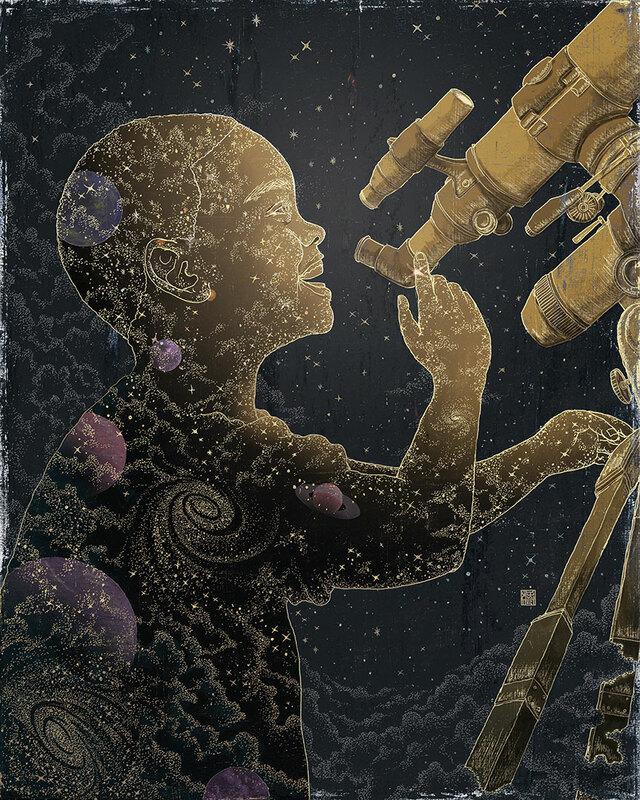 So in this illustration, you see a boy looking starts in a sky (or space) through a telescope. But the important discovery and greater possibilities are actually in the boy. That’s my massage through this illustration.